Although many properties implement basic storage units for the ironing board and vacuum cleaner, it becomes harder to find a place for general household items that accumulate over time. To help with this, we’ve put together some great storage hacks that will not only keep your home organised but also make your life that bit easier when completing daily chores. We often neglect the additional space provided by walls. 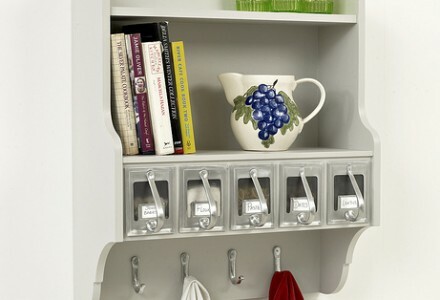 Adding pegs, hooks, handles and shelves allows you to hang items that would otherwise be clogging up the room. Fitting a pegboard in the kitchen is a great place to start. Attaching sliding baskets under the sink is an excellent way to store cleaning products and bin liners. It’ll also save you from bending down every time you wish to grab something from the cupboard. Wonder hangers are a nifty invention. They allow you to maximise space in your bedroom wardrobes by hanging multiple items of clothing on the same hanger. You can also arrange your clothes more easily this way. Laundry baskets can take up unnecessary space in the home. A good storage hack is to construct a small elevated shelf and position your washing machine or dryer on top. You can then slide baskets underneath, making loading easier as well. Sick of charging wires and mobile devices cluttering up workspaces? 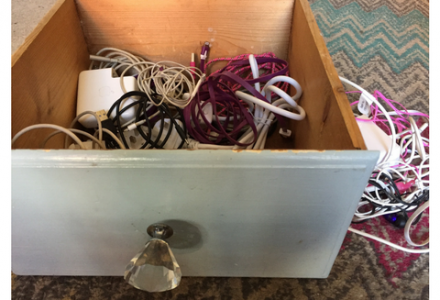 An effective idea is to create a customised ‘charging drawer’ including a multi-plug socket. You can now charge phones and other electrical equipment out of sight. On the theme of electrical cords, the home’s aesthetic is often ruined by a tangle of unorganised wires next to plug sockets. Be it for the TV, speakers, DVD player or games console, wrap cords up tightly and attach a different coloured label to each one. Magnets don’t just have a place on your fridge door; you can also use them to arrange the contents inside. By attaching items such as beer bottles to ultra-strong magnets on the fridge ceiling, you’ll create additional storage space and help keep things in order. You can use metal clips almost anywhere in the home but perhaps the most useful place is on a shower rail. Simply clip on your shampoo and then squeeze the bottle when needed. Easy! Pots, pans, glassware and other utensils can have a habit of piling up on each other in the kitchen. By adding wooden peg dividers into your drawers, each item has its own set place and becomes far easier to store. 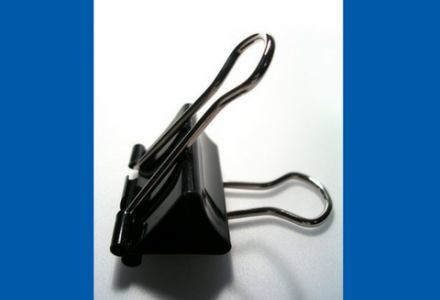 Hopefully some of these tips have given you the impetus and motivation to help you stay organised at home. For newly converted rooms in particular, consider how storage hacks can be implemented during the planning stage that will make your life a lot easier in the long run. Check out our post which explains how you can maximise space in your new garage or loft conversion. If you’re still in the planning stages of of a home conversion or extension, we are here for you! Get in touch with MPK Lofts for help with your home improvement project, from initial planning and design right through to completion. Whilst you’re in the organising spirit, now is a perfect time to start some spring cleaning; make this a less-dreaded prospect by having a look at our spring cleaning checklist which should ensure the process is pain-free.